I do enjoy watching Kelly Ripa on Live with Regis & Kelly. She must love lemonade as much as I do. 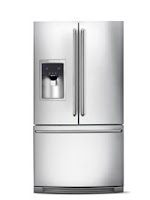 She has teamed up with Electrolux to raise funds for the Ovarian Cancer Research Fund. In the Kelly Confidential Virtual Lemonade Stand campaign you can sign up for your own "lemonade stand." My stand is up and running! 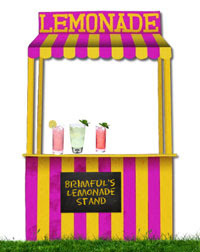 If you get a chance stop on over at the Brimful Virtual Lemonade Stand for some raspberry, ginger or passion fruit lemonade and support a great cause while you are at it!